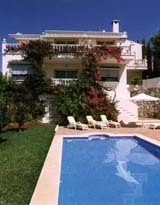 Those visiting the Costa del Sol on their holidays have the option of either booking into a hotel or renting an apartment in Malaga, where there is a great offer of accommodation with attics, studios, beachfront apartments, in the centre of Malaga and although the price tends to shoot up in summer, if we plan it with plenty of time ahead, it’s possible to get hold of a cheap apartment in Malaga, but we must search with time ahead as the last minute reservations of an apartment normally comes with quite high prices. The advantages of staying in a flat or apartment in the capital of Malaga, if we compare it to a hotel, are amongst other factors, the intimacy that it provides us, and if we travel with a group of friends the price tends to be a lot cheaper than a hotel room for each one. Another one of the important advantages is the availability of our very own kitchen where we’ll be able to eat when and how we want without having to leave the house, the presence of household electrical appliances will definitely make our day-to-day lives easier. There’s no place like home...a popular saying that can be applied to those who hire an apartment and that thanks to the commodities that this offers us, it’s possible to feel as if we are in our very own home while we are on holidays. When is it harder to rent an apartment? If you haven’t booked with enough time ahead, you’ll find it quite difficult to find availability. The prices during the summer season tend to be quite a bit higher than during the rest of the year. The centre of Malaga becomes very popular during the holy week and finding an apartment in the centre of Malaga becomes quite complicated, specially the terraces of the flats along Larios street for those passionate of the processions. Where to hire an apartment? Sometimes our choices can be conditioned by the amount of money that we are willing to spend, although it’s not hard to find economical options even in places where we would think the complete opposite. Searching we’ll manage to find cheap apartments opposite the beach on some of the most popular places on the Costa del Sol, such as Fuengirola, Benalmadena or Torremolinos, being able to enjoy the beach as well as a possible swimming pool with sunbeds to relax. Another good reason for those wanting to discover Malaga and its surroundings is the Plaza de la Merced, where the famous painter Pablo Ruiz Picasso was born and from where we’ll be able to plan our itinerary in Malaga. There are endless options when it comes to choosing an apartment in Malaga, take your time and most importantly don’t leave it to the last minute.